The mission of the Key Way Foundation is to deal with social problems by providing a haven whereby children can receive food, shelter, medical aid, and emotional and spiritual support. Similar support will be given to other individuals and families through personal services and education geared toward creating a better life for all. Our main areas of service are detailed below. The Key Way Foundation, working together with La Llave, provides hot meals to children and adults who currently are living on the streets of Cuenca, Ecuador on a monthly basis. At first, everyone on the streets was wary of the newcomers bearing food they claimed was free. There must be some cost involved. Gradually, our workers introduced themselves and proved to the people that we simply and truly want only to provide a free hot meal. The meals now have become an event that gathers large crowds. Coveted (and very convenient) police parking spots now are generously offered by local authorities to our workers to unload and set up the tables of food. Children get their share and run to find friends to bring for their share. Each feeding time is both heart warming and heart breaking. Two menus are used, Aguado de Pollo (chicken soup) or Moroho con Sanduche de Queso (a sandwich & cheese), depending on what is available at the market that day. 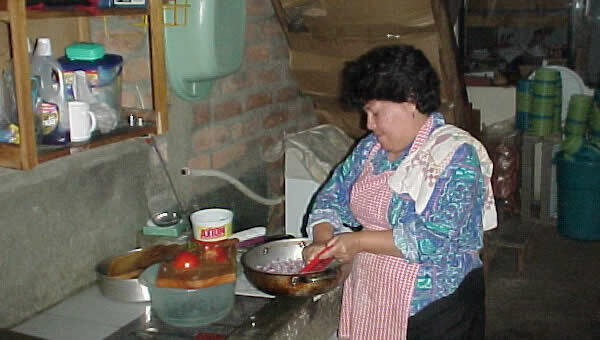 The food is prepared by about 30 La Llave volunteers. Each meal usually costs $70-80. The volunteers mix with the crowd as they hand out the food, talking with the people to see if a specific need can be met by The Key Way Foundation. We welcome any individual or group wanting to host a Soup Kitchen meal. Any donations marked for this specific use will be used 100% toward buying food and supplies at the market for a feeding. Families or individuals seeking help are always welcome at the Key Way Foundation office in Cuenca, Ecuador. We are able to help a few families a little each month providing limited staples and food for the family. As donations allow, more families are helped. Recently, a single-mother being helped monthly asked for her support to be used to purchase animals for resale. She now has the beginnings of a business she can use to support her children in the future. More families and children than we are able to assist are asking for help. We need your generous donations. 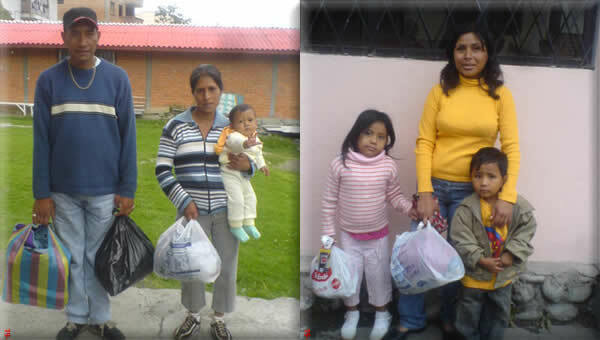 Fifty dollars is a small amount but makes a huge difference for families each month in Ecuador. A single dinner at a restaurant in the United States can easily cost fifty dollars or more. Very few families in the United States, if any at all, can eat on fifty dollars a week, let alone a month. These families work hard and survive on the bare minimum, and you can help. Two hundred dollars can fully support a family for a month. Money is scarce in many corners of Ecuador and a little will stretch a long way. Cuenca schools have invited Key Way Foundation to work with the children and their parents teaching listening skills, parenting skills, setting realistic rules and consequences, conflict and argument resolution, and other ways to build strong, loving family relationships. Even a single dollar a week can help. We ask that you prayerfully consider assisting The Key Way Foundation in helping these families. Orphanages in Ecuador work a little differently than in the United States. While many children living in the various orphanages have lost both parents, there are a large number of children whose parents can not afford to even the most basic needs for their child. Key Way & La Llave are working together actively to provide character training workshops in the orphanages and schools of Cuenca, Ecuador. 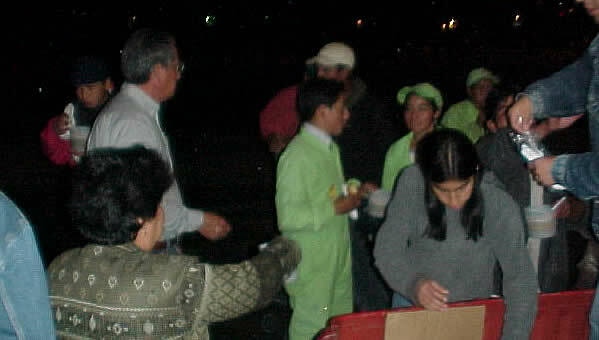 During the Christmas holidays, they coordinate to provide presents and goodie bags to nearby orphanages. Members of Key Way also give away goodie bags to children who come to main roads looking for anything people are willing to give them during the Christmas months. Local orphanages have invited Key Way Foundation to counsel their children and help with clothes, shoes, books, or any item the children may need. Members of La Llave and some volunteers have organized puppet shows for neighborhood orphanages, schools, and some government organizations. The puppet shows teach character development and civic values. 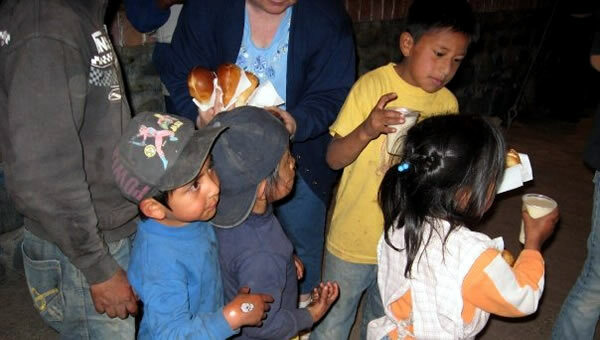 Key Way members hope to one day open an orphanage in the Azuay province of Ecuador. In the meantime, Key Way will continue to work in local orphanages and help in any way possible. Please consider sponsoring a child in an orphanage, even a few dollars can make a huge difference in their lives. The Key Way Foundation & La Llave have assisted groups wishing to host medical mission trips. These trips are always well received, and there is a great need for free clinics, even temporarily. Hosting a medical mission trip is a serious undertaking requiring medical volunteers and supplies. Safe locations in more remote areas are chosen to maximize potential aid. Bruce Campbell. Margaret Woodyard, or Rachel Montesdeoca are happy to speak with you about forming a medical mission trip to Ecuador. Currently, when a specific medical need arises, The Key Way Foundation hopes to meet that need whether financially or with supplies. Rachel has taken families and children to doctor appointments for tests or check-ups. One family requested help finding a doctor to fit their young daughter with a hearing aid (seen pictured above). Another woman requested help buying food while she is recovering from serious surgery.